All classes run on a drop-in basis - advanced sign-up recommended. Click here to log into MindBody where you can purchase memberships and sign up. *Please Note: 5 & 10 Class Package expiration dates can only be extended for medical reasons, and for one month. A doctor’s note will be needed for medical freezes longer than one month. We can not retroactively freeze class cards, so please let us know as soon as possible if a medical issue arises. Discounts available for full-time undergrad students (23 yrs and under), and seniors (65+). Please inquire at front desk. Only valid at time of purchase. Not interested in public classes? Planning a special occasion? 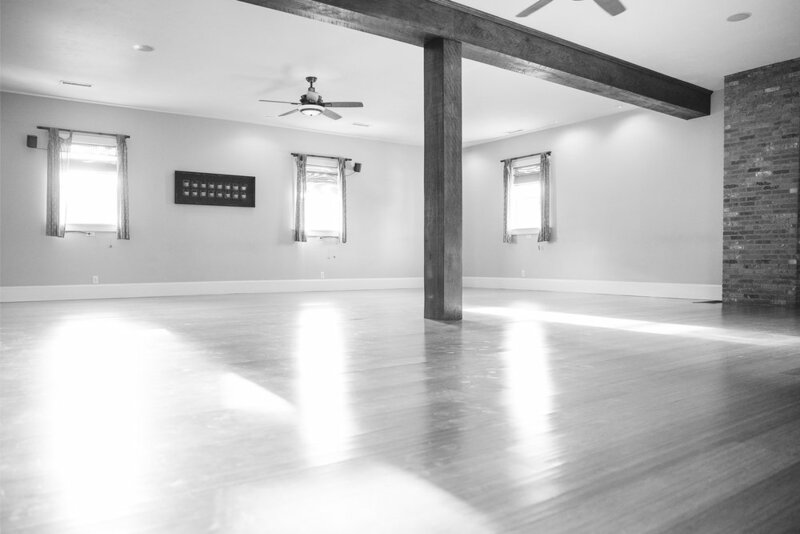 Those seeking more individualized instruction are encouraged to set up a private or small group class with a Yoga Loft instructor. This is a great option for corporate employers, family functions and special events. One-on-one time with a yoga teacher is a valuable experience for students of all levels. Private sessions can help a new student learn the basics, a seasoned student take their practice farther, or simply expand one's understanding of their own body. For information about scheduling a private yoga session, please email us. Deepen your practice with our regular workshop and teacher training offerings to take your practice to the next level. Workshop fees vary. Advanced sign up is recommended. Visit our Workshops page to learn more and register. Workshop Refund Policy: Full payment is required to reserve a space in workshops. All workshops are non-refundable. Due to limited space and high demand for some workshops, we have a 24 hour cancellation policy. Cancellations made more than 24 hours in advance will be issued studio credit. No credit will be given for cancellations made less than 24 hours. Gift certificates may be purchased in any denomination, and can be used for classes, workshops, private sessions and retail.